When your loved one needs more help than you can offer, but lack the need for specialized medical care, our home care professionals are here for you. We provide daily life assistance that includes meal prep, medication reminders, laundry, errands and much more. Most of all Friendly Faces is here to provide much needed companionship for your loved ones. When You Can’t Be There, We Can. We can provide assistance for a variety of needs, including: Meal Preparation, Medicine Reminders, Running Errands, Companionship. At Friendly Faces our clients are our number one priority. We know that every family is different and we work to provide the most specialized care we can. Our licensed team is here for you and your loved ones when you need it most. I really appreciate that they took care of my aunt for nearly 2 years on a 24/7 basis and they never had a “no show.” I never once had to leave work to come home to cover. 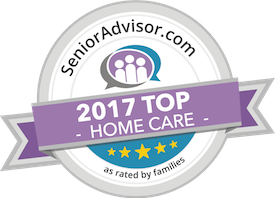 They offer above average service and I had a very positive experience with this business and I would recommend them to others. I’m glad they come. I think they are interested in what they do and they are getting done what should be done. I like to see them. I do not have any complaints about any of them. I would recommend them to others. They cook good meals. The caregivers are easy to get along with. One thing about them is that they are friendly and do not get easily upset. I would most greatly recommend this service to others. Alzheimer’s disease is the 6th leading cause of death in the US. More than 5 million Americans are living with Alzheimer’s. Every 66 seconds someone in the US develops the disease. At Friendly Faces Senior Care we specialize in working with clients who have Alzheimer’s & Dementia. Our caregivers are trained to care for individuals with Alzheimer’s disease or dementia. Moderate to severe injury resulting in hip fracture, head traumas, and risk of early death. Schedule your Fall Assessment Today! Through our Fall Risk Reduction Program we can help you or your loved one reduce falls in the home and the risks associated with them. Giving you peace of mind, increased confidence a sense of safety and enhancing independence. Click HERE to learn more about this program!